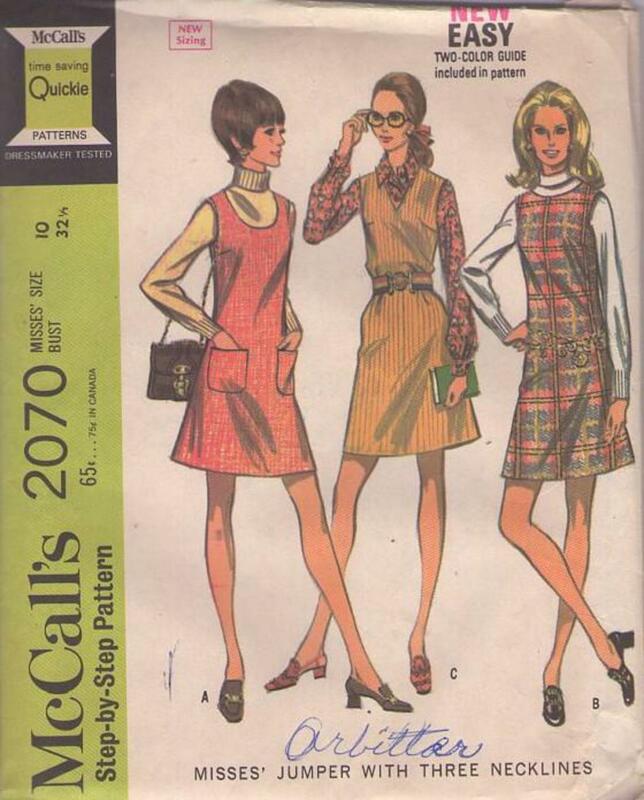 1969, 60s Mod, Retro Daytime Clothing Patterns - Sleeveless jumper, with a choice of three necklines, has faced armholes and center back zipper. Faced and interfaced neckline may be round, scooped or V-shaped in front. Scooped neck jumper has patch pockets on front. Other jumpers are worn with purchased belt.